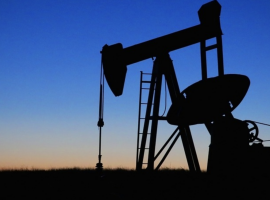 There are more than enough doubts surrounding the listing of the world’s largest oil company. There’s no certainty about the location of its international listing, and some observers have even argued that Riyadh might opt for a private placement instead so as to ensure the entire 5 percent that is set to be offered will find a buyer. After a strong rally at the end of 2017 and the beginning of 2018, Brent and WTI have both fallen from their multiyear highs, as the fast growth in U.S. shale production offsets the OPEC cuts. Despite OECD inventories nearing their five-year average, oil prices are refusing to rally. In fact, some analysts are warning that the price slide we saw this month is only the beginning of a much bigger decline. I'm glad Saudi Arabia is working with the USA and Israel against that murderous Islamic hate state Iran, but they've had over a generation to diversify and modernize their economy, and the rest of the world has no obligation to pay for it. That aside, let Saudi Arabia play games short term to take the market into deficit if they can. American producers should be looking at this information and recognizing that Saudi Arabia is going to manipulate the price of oil up for the rest of this year. That means huge opportunity to race ahead with production knowing Saudi Arabia will keep prices high regardless of U.S. output, and they can certainly idle enough production to do that for a year or two. So the oil/gold rush in the USA is should go into overdrive. It stands to logic that when oil prices are high Saudi Arabia’s IPO brings more money. Saudi Arabia needs a price of $70/barrel or higher for a successful IPO of Saudi Aramco. Still, the OPEC/non-OPEC production cut agreement is doing a sterling work buoyed by very positive oil market fundamentals. The global oil market is virtually re-balanced. 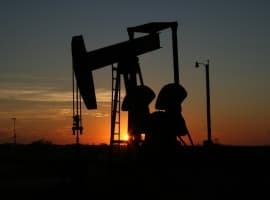 Oil prices are heading towards $70 and beyond this year without Saudi Arabia taking any further action and in spite of exaggerated claims about increases in US oil production. Some time ago I said that there is a real possibility that Saudi Arabia might decide to withdraw its IPO of Saudi Aramco altogether. The Aramco IPO was originally proposed as part of Saudi Arabia’s Vision 2030 with the objective of securing an estimated $100 bn in support of Saudi diversification and the creation of a modern Saudi economy. But the recent anti-corruption drive has already netted them an estimated $106 bn according to Saudi official sources. Furthermore, eliminating the subsidies on water, electricity, gasoline and food will also save them some $100 bn and a peaceful settlement in Yemen would save them an estimated $72 bn being the current cost of their involvement there. Keeping Saudi Aramco totally under Saudi ownership enables Saudi decision-makers to decide oil policy and the freedom of global investments without any foreign interference and without any risk of litigation by the United States. The IPO or any Saudi investments or funds in the United States could be at risk by the legislation passed by the US Senate on the 17th of May 2016 that would allow families of September 11 victims to sue the Saudi government for damages. It must next be taken up by the US House of representatives. If it became law it would remove the sovereign immunity, preventing lawsuits against countries whose citizens were found to be involved in the attacks. The minute one law case is launched by an American citizen against the Saudi government, all Saudi assets in the US will be frozen. Saudi's self interest at the cost of other oil producing countries will not work. None will agree starve to meet Saudi's goal. Saudi will then happily let oil price crash. No one believes Saudis. The only possibility is Israel-Iran war instigated and supported by Saudi. Be prepared for the war and oil prices shooting to $90. Exactly what the future holds is always an unknown, but it is highly unlikely there will be an Israeli/Iranian war. Israel no longer holds much of a military advantage in the ME, other than it's nucs, which are not very usable. If Israel is hot headed enough to start a war with Iran, it will be the last one it has for a very long time. The price of oil will have to rise or fall for other reasons, hopefully just fundamental. Fatih Birol is losing any shred of respectability. To be as irresponsible as he is and get away with it is nothing short of amazing and the corruption of the truth to suit the politics and demands of some powerful interests that will result in serious problems to come in a few years time. The damage is done. $90 oil will seem cheap in 2020. Saudis are hanging by thread, Islamic state is knocking on their door with Russian support. US is running out of money and end is not far for Royal. Where they can hide , in USA. Iran is a silent ready with nuclear to take over Mecca.